Heat oven to 425°F. Spray 13x9-inch pan with cooking spray. 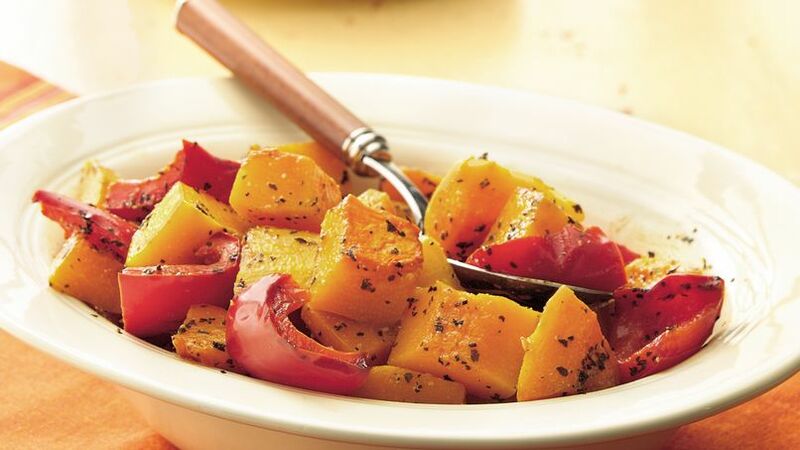 In large bowl, mix ingredients until squash and bell pepper are coated. Spread in pan. Roast uncovered 25 to 30 minutes, stirring once, until squash is tender. Butternut is the variety of squash shaped like a peanut and is a great source of vitamins A and C.